Most Kid-Friendly Foods Are Empty Calorie Foods. Find Out Which Ones and What to Do About It! Empty calories are considered foods that contain solid fats and sugars, but add little to no nutritional value. Most kid-friend foods are essentially empty calories! Why You Shouldn’t Put Your Child on a Diet. Do These 9 Things Instead. Snack foods are some of the biggest empty calorie culprits, especially with child specific snack foods sold in grocery stores. Avoid the snack aisle and visit the produce section to find healthy snacks filled with nutrients. Check out our Snack Guide for tons of healthy snack ideas. Even though you see everyone else offering these kid-friendly snacks, doesn’t mean they are healthy. Everything in moderation, but if you catch yourself offering these types of foods often, it’s important to know they are almost devoid of nutrition. Check out this list of healthy snacks you can buy online. Chips, candy and other snack foods account for up to 27% of the daily caloric intake for children, age 2 to 18,” according to findings by researchers at the University of North Carolina at Chapel Hill. Let’s spend a second to take that in! Snack time should not be associated with treat time. There is a time and place for treats, but it should NOT be daily. Americans are overeating and still undernourished. Obese children and adults are also the most nutritionally deficient because they are filling up with empty calories. (1) The more processed foods a child eats the more vitamins and nutrients he or she will need. These foods are devoid of nutrients causing havoc and weight gain. The occasional processed snack or empty calorie food is ok! And, it’s also ok to indulge occasionally. It’s important for kids to get the opportunity to indulge too. Try to get your child in the habit of having some fruit after a meal versus the dessert trap that so many families fall into. Plus, you’ll be so surprised on how much better behaved your child is if you cut back on processed foods, which can contain food coloring, preservatives, and sugar. Find out how much food affects our children’s mood. We all grew up thinking yogurt is healthy! Well, yes and no. If your’e giving your kids yogurt with no added sugar than yes, yogurts are healthy. If you’re giving your kids those yogurts targeted to kids like YoKids, Danimals, YoPlait, GoGurts than no. How can that be? These yogurts are loaded with added sugar, which can wreak havoc on the body. Watch the video to find out why. Those YoKids Sqeezers have 4.5 grams of sugar per oz vs a Coca-Cola that has 3 grams of sugar per oz, according Dina Rose, PhD, author of It’s Not About The Broccoli. 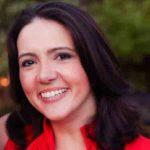 Rose continues to say that children get locked into a self-perpetuating cycle of eating these types of foods. Then, kids start to crave these empty calories because their palates get used to the high fat and sugar content. 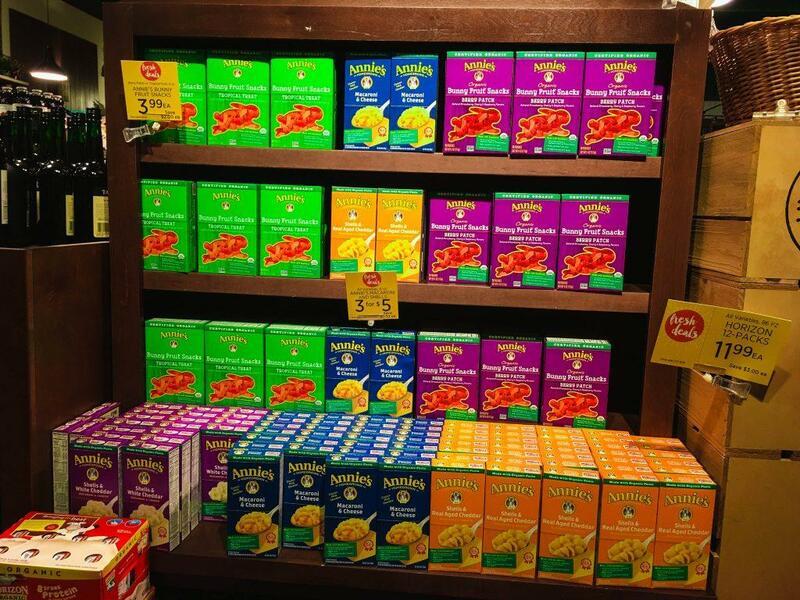 Zucchini’s can’t compete with the manufactured flavor of Goldfish. We are wired to prefer sugar and high-fat foods. Food manufacturers know this and that’s why they pump their food with these ingredients, so we can get hooked and keep buying more and more of them. It makes these huge food manufacturers more profitable and sadly, our kids are paying the price for it. Read more about how food manufacturers create a bliss point in food to get your kids hooked. According to the American Academy of Pediatrics, vegetable eating starts to wean around 9 months of age when snack foods start to get introduced to young children. I saw this with my twins. They started to ask for pretzels and crackers (which at the time I thought was a healthy snack option) and then in later months my kids started to demand these foods by throwing tantrums. At first, I thought I was helping my twins get used to table foods, but little did I know, I was helping them fall in love with pretzels and demand them over anything else. How Did I Get My Family to Stop Eating Empty Calories? It starts in the grocery store! 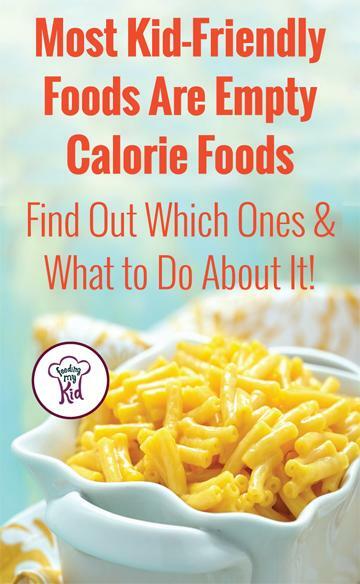 Don’t buy empty calorie foods. Learn how to read food labels and make sure you don’t put anything in your cart that isn’t going to nourish your family. Personally, I don’t bring anything into the house that I don’t want my kids to annoy me about later. If I had pretzels in the house they would beg to eat them. I have enough going on in my life that I don’t want to argue with a preschooler, so there are no pretzels in my house. They can’t tantrum about something they don’t see or know about. Clean out your pantry or fridge. If you can afford to, donate the food, give it to a friend, etc. Get it out of the house. Purge these foods out of your life! Be sure to read food labels: Make sure that there isn’t too much sugar in the product. If you see in the ingredients, high fructose corn syrup, it means there’s added sugar. Go shopping with your kids: Going shopping with your kids is important. You can read labels with them, talk to them about what they want and steer them in the right direction of the foods that are suitable for the both of you. Teach your kids about nutrition. Make a point to help your children learn how to read food labels, have them watch some of the videos in this article to better understand what goes into our food and why we should avoid empty calories. Watch the movie FedUp with your kids. Don’t lecture your kids about nutrition and food! You don’t want your kids to rebel and eat more of these unhealthy foods when they are not around you. Don’t have junk food in the house and each time your child eats something, don’t guilt-trip them about it. It’s about having them understand why you are limiting these foods in the house. 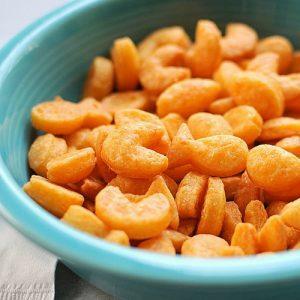 Prep snacks in advance: To prevent over-snacking and consuming too much food before a meal, and having your child ruin his appetite, be sure to prepare snacks for your kids in advance. Stock them in the fridge or in the pantry. Carrot sticks or apple wedges are always a favorite quick fix! Put a pre-selected amount of food in a snack cup or re-useable baggie to limit how much your child is eating at a given time. Here are our favorite high-fiber healthy snacks on the go for those days you can’t prep a snack in advance. Have mealtime at home: The first place to start eating healthier is right at the dinner table. Kids eat by example, so be sure to try and eat healthy with them. Mealtime is the perfect place to begin your commitment to eating healthier. Aim for Moderation. Yes, it’s true that most of us are not eating these foods in moderation. The goal is to pull back on how many empty calories we are eating and how many our kids are eating. We don’t want to completely ban these foods. Why? As mentioned, you don’t want your child to overindulge in these foods when they are not around you. We want kids to learn how to self-moderate. We want kids to have a healthy relationship with food. These are just some methods to start a healthier lifestyle and keep away from empty calorie foods. Do you have any methods that you’d list in combating this? Please share your comments below! Check out Snacking FAQs a comprehensive resource to answer your most pressing questions. Find out how to get your kids to eat more vegetables. (1) Gillis L, Gillis A. Nutrient inadequacy in obese and non-obese youth. Can J Diet Pract Res. 2005 Winter;66(4):237-42. 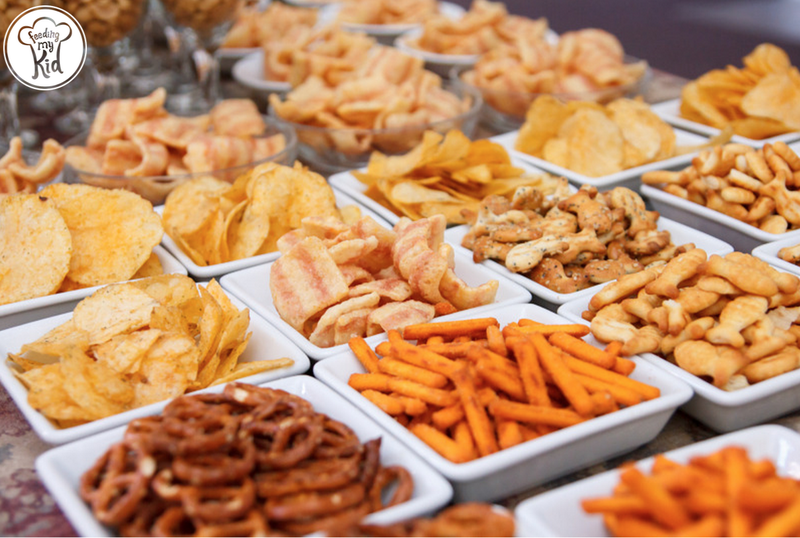 Find out what common snacks are empty calorie snacks and what you can do about it.